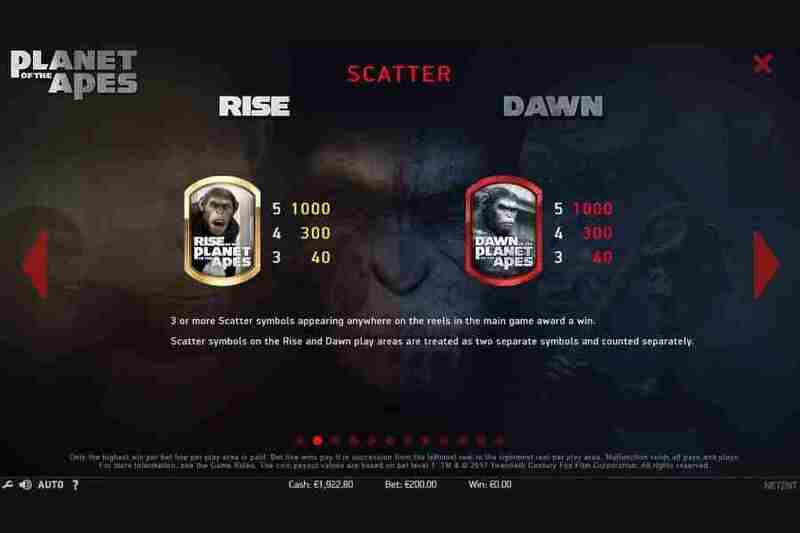 Planet of the Apes slots has been created with the newer releases of the “Rise” and “Dawn” movies of the same name in mind. 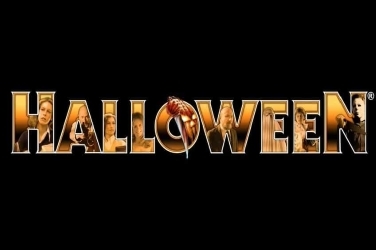 Even using characters from each movie as symbols, impressive video clips and a dramatic soundtrack in its design to add more of a thrill as players allow the reels to spin. 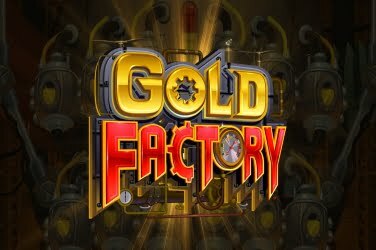 The format of this online slots is rather unique as it has Dual Reels giving players 2 games in 1, each with 5 reels and 20 structured pay lines. 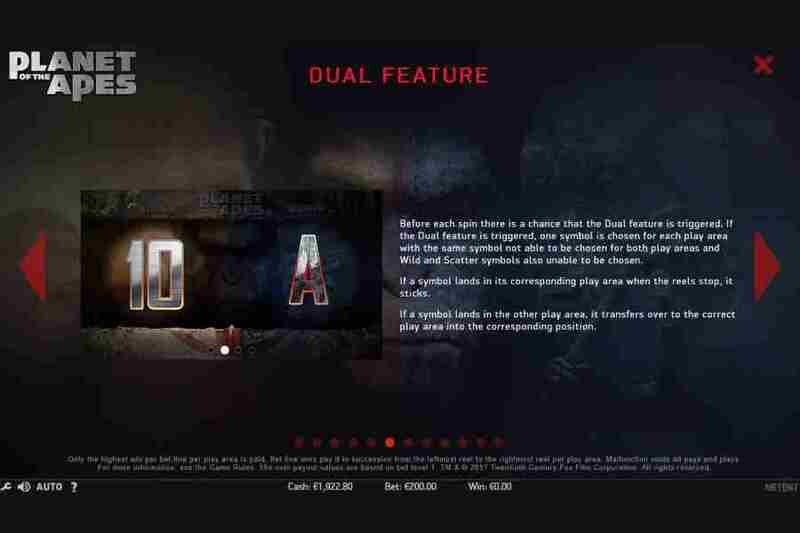 Both sides of the screen work separately during the base game however they can come together if the player reaches the additional Bonus Features that have been included. To the left of the main screen is the “Rise” game which looks warm and bright, while the “Dawn” reels on the right appears more dark and foreboding. Each represents the life of Caesar who is the leader of the Ape army and how he helped them all escape captivity. 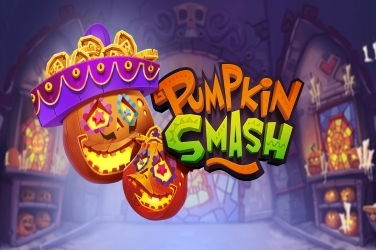 It provides an interesting story with some special elements to keep players entertained until they are ready to claim their final jackpot balance. Players can enjoy the game on a PC Desktop, however it can run slow when using a Mobile device which could prove a little frustrating. 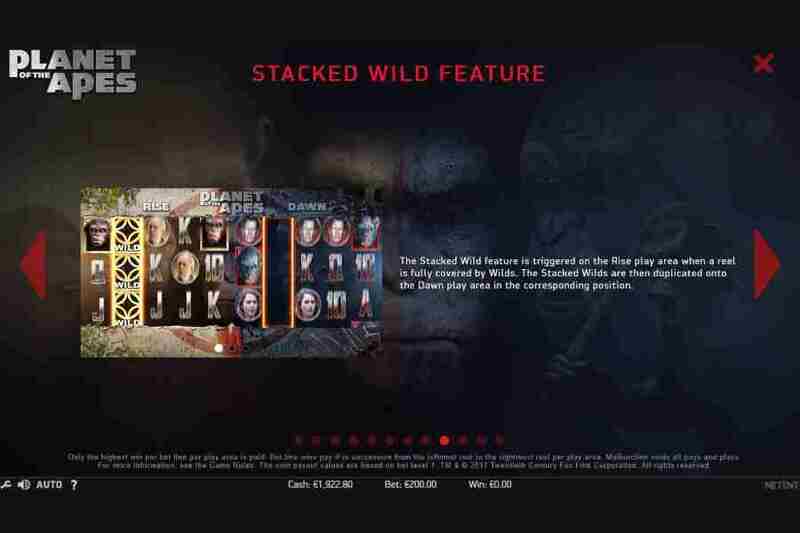 However with the chance of Staked Wilds, Free Spins and other ways for players to add to their winnings it is already proving a hit since it was released in October 2017. 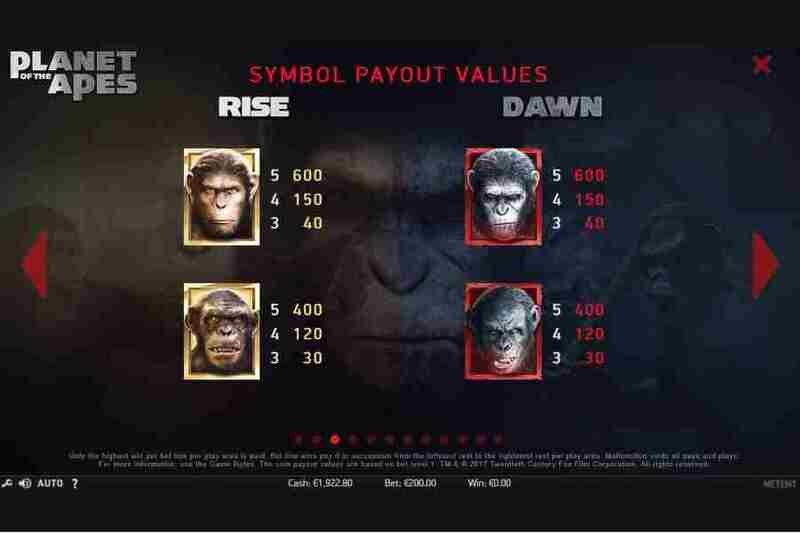 Along with the image of a large Ape, 3x characters from the “Rise” movie and 3x people relating to the “Dawn” version are also used as symbols in the Planet of the Apes slot game. Smaller pay outs are rewarded if the 10 through to Ace symbols land on the reels. Those on the left 5 reels depicted with shimmering colors of silver and gold. While they are shown in bold shades of red and grey across the right of the screen. Wild – a “Wild” shown either in Red or Gold depending on which side it lands is able to change any of the Basic Symbols if a winning combination can be found. 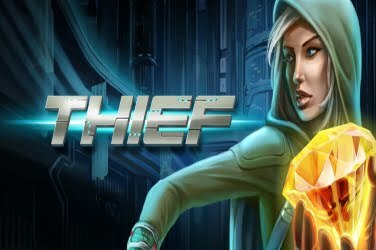 Scatter – the main character of this online slots is the Scatter symbol used in the game. 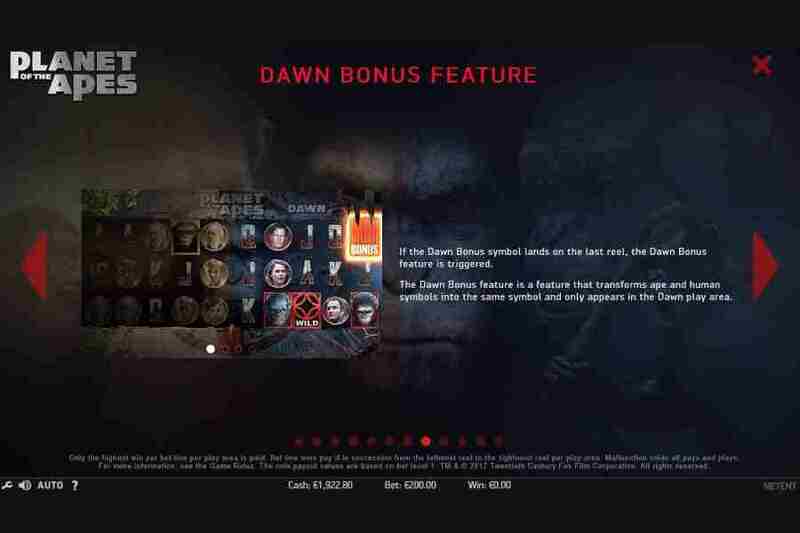 Appearing in different poses and framed in Red on the “Dawn” side and Gold within the “Rise” game 3x of these need to be located for an additional Round to be activated. Stacked Wilds – should an entire reel within the “Rise” game become filled with this symbol it is then replicated to the “Dawn” side so that there are more chances for players to create further winning pay lines. 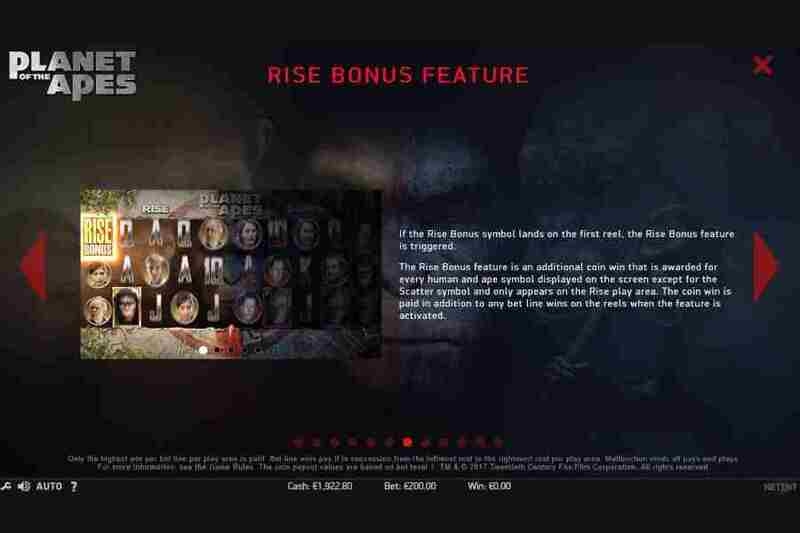 Rise Bonus – if the games additional Bonus Symbol appears on the 1st reel then players will see all human and ape images reveal a random cash prize to be added to their jackpot amount. 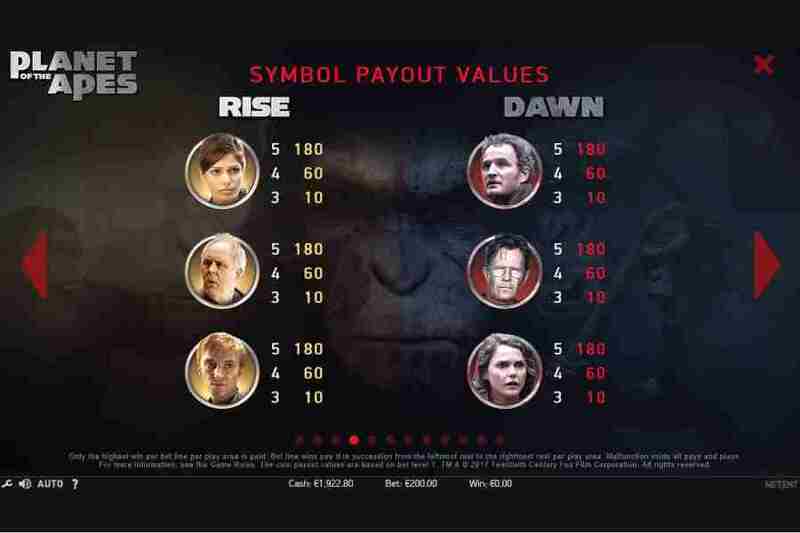 Dawn Bonus – when the 10th reel shows the “Dawn” Bonus Symbol any position that contains a human or ape will change to match so that there are more opportunities to win. Rise Free Spins – 3x Scatter symbols need to appear on the reels of the 1st 5 reels of this game before this Bonus Round can begin. 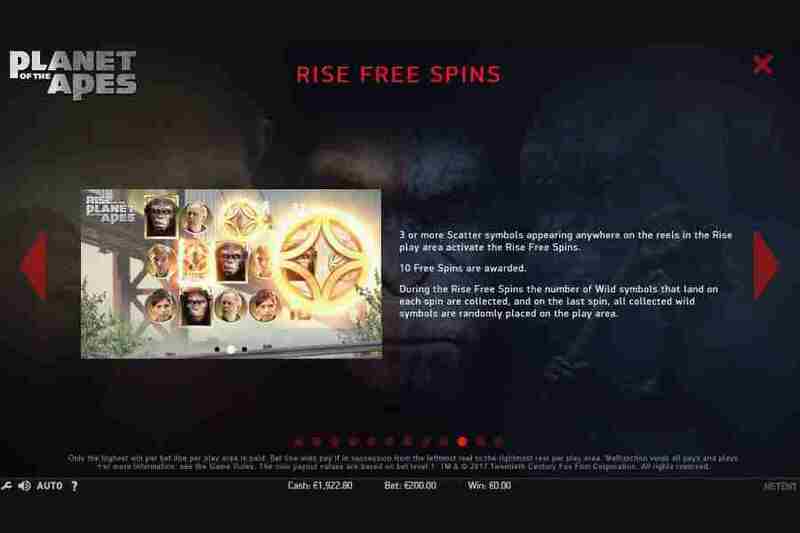 Any Wilds that were visible are collected as the player enjoys 10x Free Spins. However all Wild symbols are then returned to the reels for the final spin which can result in some big wins if the player is lucky enough. 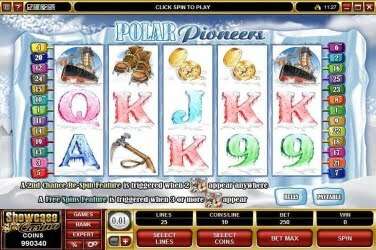 All 20 structured pay lines need to be in play before this online slots can begin. 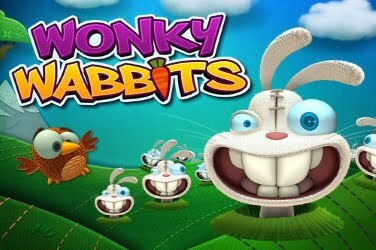 With this in mind Net Entertainment have kept the coin denomination low so that players of any level can enjoy the fun on offer here. By using the +/- button on the Control Panel at the bottom of the screen players can wager as little as 0.20 with each spin rising up to the maximum of 200.00. 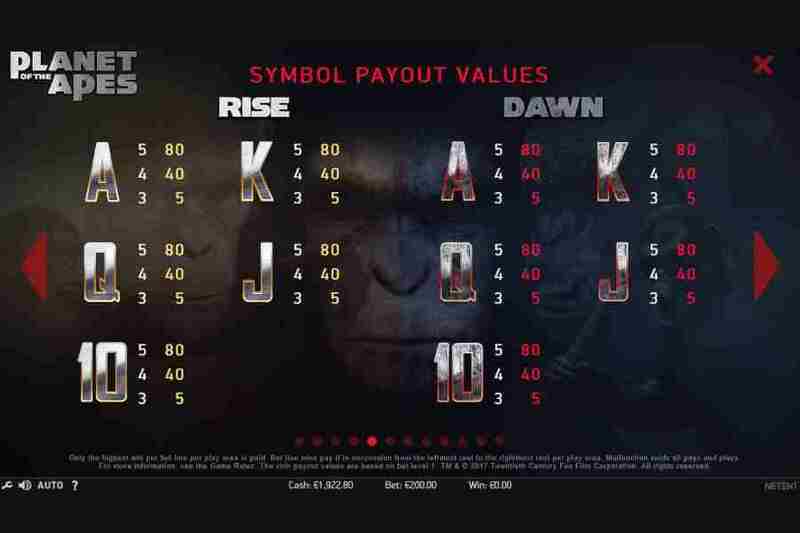 This makes the game appealing to both high and low rollers who like the dramatic story of the Planet of the Apes slots. Planet Of The Apes is considered Medium-high variance and the Features can be triggered regularly to provide players with a RTP of 96.33%. And although some players may be daunted by the 10 reels at first it can be easily grasped with some practice and is a highly entertaining release from Net Entertainment. 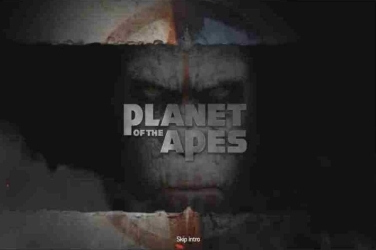 – Try Planet Of The Apes here with a free spin or visit NetEnt casinos to play for real money.